We comprehend the custom WordPress requirements of our clients and renders the best outcomes. 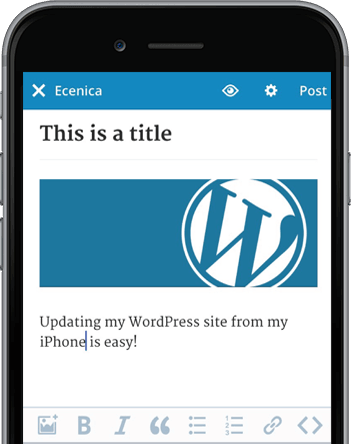 We build Wordpress solutions that are sophisticated, yet simple to suit your personal or business website in terms of performance and responsiveness. A solid and functional website needs to be a lot more than just visually attractive and easy to navigate for visitors: It needs to be streamlined, user friendly and seamless for the website owner that operates it as well. It quite simply doesn’t get any more user friendly than building website on WordPress - probably the most used CMS available on the market. 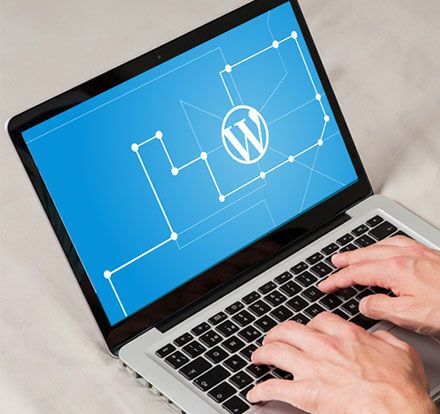 Many people however make the mistake of assuming that since WordPress is so simple and functional, a WordPress powered website doesn’t require the same level of customization and care any another site would in order to be successful. In reality, professional WordPress development services can make all the difference in the world between having a plain, uninteresting site that everyone overlooks and having the web’s next big thing on your hands. At Sierra IT Group we’ve designed and built WordPress websites for some of Thailands' biggest brands. We know that WordPress has no limits and how to make the most out of it. We strive to offer state-of-the-art WordPress development solutions that are compatible with all type of business models and industries. We offer high-end WordPress development, plugin development, theme creation or customization, maintenance services, enhanced security, speed optimization and fully managed WordPress hosting services to ensure the well-being and succcess of your website. With our extensive experience we can help you design and develop high-end WordPress solutions to streamline communication, automate workflow, manage high volume websites, membership portals, e-commerce, Woocommerce & shopping cart integrations. If you're looking for a professional WordPress site, look no further! Looking for a WordPress website? We specialize in creating effective, bespoke websites using cutting edge web technologies. We’re not just WordPress development experts. 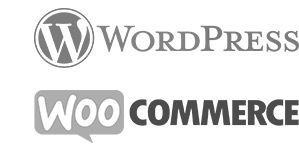 We understand the ins and outs of WordPress to provide you with the reliable advice you need. Looking to get the most out of your WordPress multisite installation? From complex systems to a full multisite plugin, we’ve got you covered. We create high-converting website with fluent navigation, a clean user interface and responsive design to help you distinguish your brand from competitors. Migration no longer has to be a daunting task! Leave it up to us. We will convert your site to WordPress from Drupal, Joomla, Magento or any other system. Focus on your business and leave the technical stuff to us. We offer tailor made maintenance plans that can save you time and unnecessary headaches. Are you looking for WordPress Web Design Solutions? Do you provide any training for WordPress? WordPress really are very easy to use and do have explanatory notes included where necessary. We run through the administration screens with you when we design the site for you – however if at any time you have any questions we are available to run through the procedures or answer any queries you may have. Alternatively and if you're located in Bangkok (Thailand) area, we are also available fo an on-site training session which however will need to be discussed. Do you also provide WordPress & Woocommerce hosting? Yes – we are your one stop shop providing all your web services. Please feel free to check out our WordPress & Woocommerce Cloud Hosting solutions. Is my data safe with Sierra Group? Not only was their work on-time and to spec, but they also improved the aesthetics of the site as well as some additional functionalities. Throughout the entire process they were very responsive and willing to work through issues. It’s obvious that they take tremendous pride in their work and I wouldn’t hesitate to recommend or work with them again. Sierragroup developed an excellent WordPress plugin for my business. They worked with me on the specs and even made some extra changes mid-stream when I realized I needed additional features. Very happy with final product. Would definitely hire again for WP plugin development.